GUEST POST : LA GERMANIA BLOCCA IL FISCAL COMPACT! Posted in CRISI EUROPA, GUEST POST | Tags: fiscal compact, Germania, Merkel | Commenti disabilitati su GUEST POST : LA GERMANIA BLOCCA IL FISCAL COMPACT! GUEST POST: E SE I VERI CLOWNS FOSSERO I POLITICI TEDESCHI? 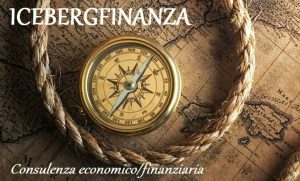 GUEST POST: CHI DI AUSTERITA’ FERISCE DI AUSTERITA’ PERISCE! GUEST POST: IL FALLIMENTO DELL’AGENDA MONTI! GUEST POST: IL PARLAMENTO NON E’ UN CDA, CARO BRIATORE! GUEST POST: CON LO STATO CATTIVO GRILLO VARCA IL RUBICONE! ITALIA: IL RITORNO ALLA LIRA! GUEST POST: PIU’ EUROPA E ( MENO SPAGNA). O NO? GUEST POST: IL MOVIMENTO 5 STELLE E IL MIRACOLO ITALIANO!